Padma Shri recipient Padma Sachdev is a celebrated Indian poet and novelist. 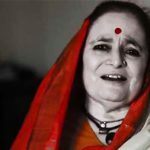 She is the first modern woman poet of Dogri language and also writes in Hindi. She has published several poetry collections that include Meri Kavita Mere Geet that brought her the Sahitya Akademi Award in 1971. She is also the recipient of Padma Shri (2001) from the Government of India and Kabir Samman for poetry (2007-08) from the Government of Madhya Pradesh. Her acclaimed works include Tavi Te Chanhan (Rivers Tavi and Chenab, 1976), Nheriyan Galiyan (Dark Lanes, 1982), Pota Pota Nimbal (Fingertipful Cloudless Sky, 1987), Uttar Vahini (1992) and Tainthian (1992). Sahitya Akademi Award winning Dogri writer, Joginder Pal Saraf, also known as Chhatarpal in the literary circles is the former President of Dogri Sanstha Jammu. Recipient of Mohan Rakesh Puruskar by the Sahitya Kala Parishad Delhi in 2006, Mr Chhatrapal has also been a member of the Advisory Board for Dogri Language in the Ministry of Culture and in the Sahitya Akademi. Mr Chhatrapal has also received the Best Playwright Award by JK Academy of Art Culture & Language in 2015, award for Best Hindi Writer of Non-Hindi State by Ministry of HRD, 1982 and Akashwani Drama Award for Humorous play. Apart from being a renowned writer, Mr Chhatrapal has also translated numerous books from Dogri to Hindi, which have been published by the Sahitya Akademi. 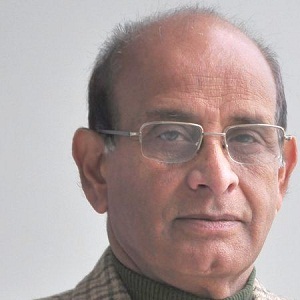 Professor Lalit Magotra, recipient of the 2011 Sahitya Akademi award for his book Cheten Diyan Ga’liyan, a collection of personal essays is a prolific writer and a critique, President of Dogri Sanstha Jammu, Prof. Magotra has been conferred with the State Award by J&K Government for his outstanding contribution to Dogri language, literature and culture, and two of his books have been adjudged Best Books in Dogri by J&K Academy of Art, Culture and Languages. He has been the Member of the Executive Board & General Council of Sahitya Akademi, Convener, and Advisory Board for Dogri Language, and Convener of Board of North Indian Languages of Sahitya Akademi, New Delhi. Also a member of Central Committee of J&K Academy of Art, Culture & Languages, he has been the recipient of Senior Fellowship in Literature of the Ministry of Culture, Govt. of India. Prof. Magotra wrote his first short story in Dogri in the year 1972 and his first play in 1976. Since then he has written prolifically in various genres of Dogri including short story, one-act play, stage-play, essays, travelogue, literary criticism etc. He has five books to his credit in Dogri: two collections of short stories, one collection of personal essays, one collection of articles on literary criticism and one stage play. Many of his short stories and articles have been published in various magazines and journals and translated into other languages. Also the former President of Dogri Sanstha, Jammu, Prof. Magotra has strived hard and ensured a wholesome growth and development of Dogri literature keeping pace with the fast technological strides. At present, Prof. Magotra is the Member of Executive Council and Convener of Dogri Advisory Board of Sahitya Akademi, New Delhi. 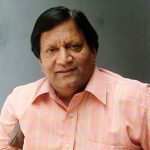 Making use of his expertise in Physics and computers, Prof Mangotra has actively contributed towards the translation and adoption of nine Computer Software tools from English to Dogri language and an online Dogri-English-Dogri Dictionary. He has also translated and prepared Course on Computer Concepts in Dogri, an IT Literacy Programme for Masses in Collaboration with DOEACC, J&K. Padma Shri recipient Balwant Thakur is one of the most creative theatre directors of India. Decorated with the highest Indian honor in performing arts i.e, Sangeet Natak Akademi Award for Direction in theatre, Mr Thakur is credited for being the youngest theatre director of India who has participated in over 200 National Theatre Festivals as director, which is a record in the country. Known as a magic man of theatre, his outstanding visual poetics on stage like ‘Ghumayee’ ‘Bawa Jitto’ ‘Suno Eh Kahani’ ‘Chauraha’ and ‘Mahabhoj’ have vibrated the theatre scene of North India. Credited for bringing Dogri theatre in the National and International limelight, he has been highly instrumental in creating a new cultural renaissance in the State of Jammu and Kashmir. Mr Thakur has won the State Academy Award for best production for three consecutive years and was twice adjudged winner in the North Zone theatre festival organized by Sangeet Natak Akademi. In 1992, he was decorated with the prestigious Sanskriti Award for direction in theatre. In the same year, he won The Ford Foundation (USA) Grant Award for his research project ‘Search for a New Theatre Language’. This gave a new flip to his creative endeavors and he won the rarest honors like ‘Abhinayak Samman’ ‘Saptrishi Samman’ ‘Naksha Samman’ and ‘Kala Nidhi Purskar’. 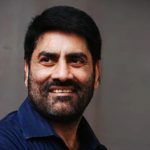 In Children’s theatre, Balwant Thakur is one among the very few theatre directors of the country who have revolutionized the theatre scene and have evolved a new dramaturgy for children. His plays like ‘Mere Hisse Ki Dhoop Kahan Hai’ ‘Aap Hamare Hain Kaun’ ‘Hum Hain Naa’ and ‘Bhag Beta Bhag’ are being credited as the most demanded children productions which have been featured in almost all the major theatre events in India. As playwright he has twelve original plays to his credit. His most regarded initiative ‘Theatre for a Social change’ under which he conducted 500 shows in the remote villages of J&K brought a revolutionary change in the mindset of the rural folk of the Indo-Pak border villages from Nagri (Kathua) to Kupwara (Kashmir). In 2005 he won the best Director Award in the 1st Doordarshan Theatre Festival. In 2011 he was honored by the Royal Award ‘Maharaja Gulab Singh Memorial Award-2011’, Gursharan Singh Commitment to Theatre Award (World Theatre Day Honor of Punjab Govt)-2013. He was conferred PADAMSHREE by President of India in 2013. Former Secretary of J&K Academy of Art Culture and Languages, Mr Thakur has also served on the Boards of prestigious Institutions of the country including, Department of Culture, Govt. of India, Sangeet Natak Akademi, Indian Council for Cultural Relations, North Zone Cultural Centre, Council for Promotion of Urdu Language and as an expert for National School of Drama, Department of Culture, M.P., Department of Language & Culture, H.P. and Association of Indian Universities. Widely traveled Balwant Thakur held his presentations in Bangkok (Thailand) Singapore, London, Oxford, Brighton, Stratford, Berlin, Frankfurt, (Germany), Rome (Italy) Moscow, Yoroslov, Belgrade, St. Petersburg, Turkey, Almaty, Bishkek, Denmark, Dubai, Sharjah, Abu Dhaabi and Dhaka. 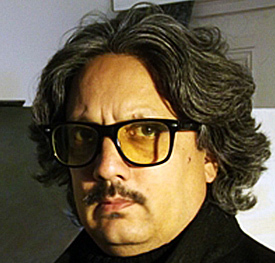 Suman Gupta has the distinction of being the first Indian ever to exhibit his works at the UN headquarter in Geneva, Switzerland in a one man show titled “The Mountain Mysteries“ in the year 2002. A renowned contemporary realist artist of the J&K, Suman imagines Eden-like places in nature that children & adolescents retreat to & dream of inhabiting. He blends the elements of an abstract-realist painter, blissfully besotted by the colours, forms and lights of a tranquil oasis of nature. Suman has already exhibited his works in countries like Singapore, UAE, Cyprus, Beijing, London, Florence, Italy, Finland, New Zealand and US. He is also the recipient of the many State, National and international awards. He makes simple humble folk his models, one who sits and watches an old musician playing and creates a counterpoint of compositions that bring in the pastoral surroundings of the Northern Himalayas. What is immediately moving in Suman’s paintings is the treatment of the local landscape with the human figure. Drawn faithfully from nature, the mundane landscapes of provincial hinterlands evoke new recognitions, breaking the seemingly familiar with unexpected surrealism. 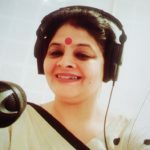 A renowned name in the field of Broadcasting, Mrs. Madhvi Sharma has been mesmerizing her dedicated listeners with her soulful voice since the past 28 years. Madhvi began participating in children programmes at the tender age of eight, until radio professionals discovered her, explored the artist in her and gave her the opportunity broadcast Live shows in 1988. This the same year Madhvi joined All India Radio, Jammu as an announcer. Besides being a much sought after Announcer, Madhvi has specialized as an Anchor for invited audience programmes. Besides anchoring various programmes of National & International music artist, she has also hosted programmes featuring Prime Minister Narendra Modi and former President Smt. Pratibha Devi Singh Patil. A very sought after name in the world of broadcasting, Madhvi has been hosting music programmes at the Raj Bhawan since the past seven years. Winner of the ‘Young Women Achievers Award’ in 2014, Madhvi is associated with various Dogri Literary activities in and outside Radio.